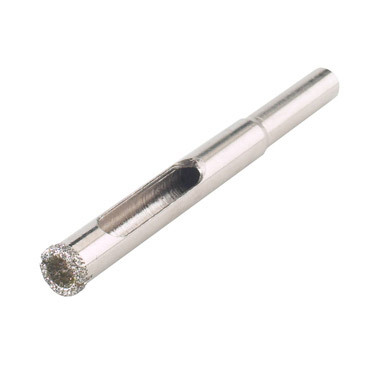 Rubi Easy Gres diamond drill bit 6mm. Ideal for drilling into porcelain tiles, ceramic tiles, granite, marble and glass. Includes the drill bit only (Easy Gres guide and adhesive pads available separately). Ideal for drilling small fixing holes in tiles. Expect to drill 5-10 holes, depending on the materials, when effective water cooling and appropriate (moderate) pressure is applied.